The Church of Prayer Christian Fellowship of Rockwall would like to invite you to worship with us. We are celebrating the Lord and what He is doing in our community and region. We believe God desires for the Body of Christ to come together and do what He has commanded us to do. That commandment is to 'Go therefore and make discples of the all nations, baptizing in the name of the Father and of the Son and of the Holy Spirit'. "Even them I will bring to my holy mountain, and make them joyful in my house of prayer; their burnt offerings and their sacrifices shall be accepted upon mine altar; for mine house shall be called a house of prayer for all people". To build a house of prayer that will impact people to give their whole heart to the Lord Jesus Christ, and to train up leaders to make disciples of all nations. a great time in the Lord with you! Go to This is Your Season Ministries for more information and to register for the conference or click the button below. 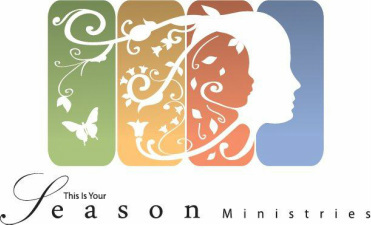 ​This is Your Season Ministries is devoted to sharing the love of God. Our heart is to minister the gospel to the poor and widows, feed the children, and encourage pastors and church leaders. Our new facility has adequate space for our sanctuary and other ministry needs including NGIWI, Worship Conferences, Women’s Ministry, Children’s Church and Hidden Treasures of the Secret Place Library and Bookstore. Your prayers and tax deductible contributions can help us build the Kingdom of God for the King. We are dedicated to fulfilling the Great Commission of going into the world and preaching the gospel (Mark 16:15). Our desire is for you to explore and take full advantage of the messages that are available to you. All of the downloadable video and audio teachings, as well as the Bible studies, curricula, and devotionals are available to you completely free of charge.